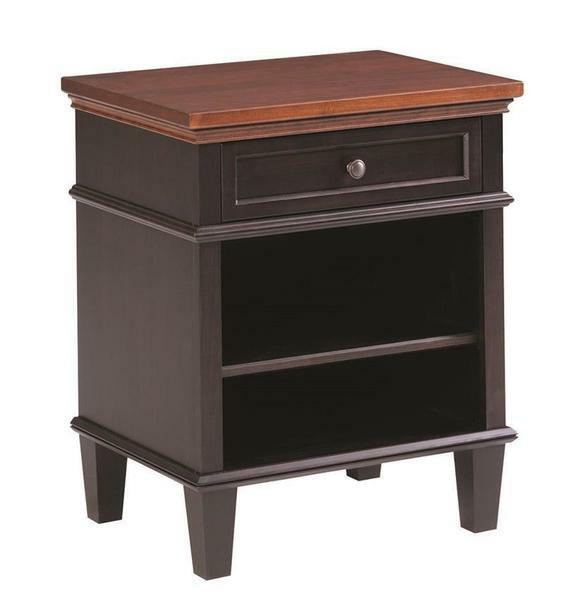 The Amish Rockport One Drawer Nightstand will add storage for your nightly items you may need while in bed. The shelf will be a perfect place to store your books. Personalize your nightstand by picking your wood and stain to match your existing bedroom furniture. Looking for additional pieces of Rockport furniture for your bedroom please take a look at the Amish Rockport Bed and Amish Rockport Armoire. If you have questions or need help with picking your options please contact one of our Amish Furniture Specialists at 866-272-6773.